Wooo baby! Looks like the bears are running the show on this one! After taking a brief pause on Wednesday, the bears were in complete control once again yesterday, and now, EUR/USD is approaching a key resistance-turned-support level at 1.3850. 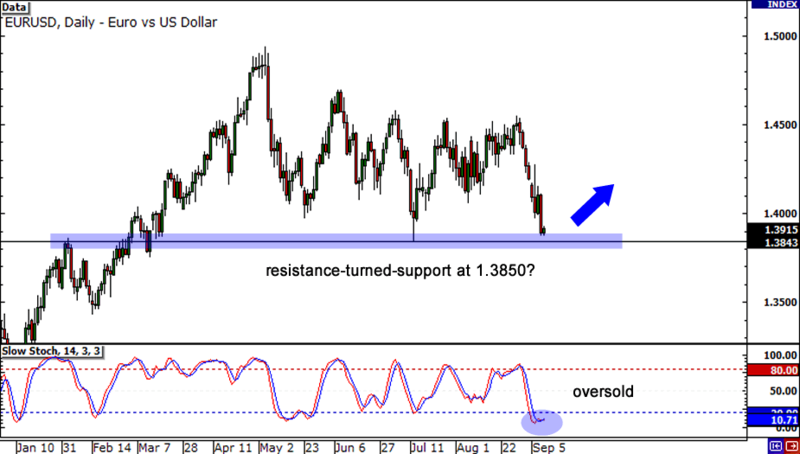 With Stochastic showing oversold conditions, will the bulls come charging back in? I suggest waiting for some reversal candlesticks before establishing any long positions. The Kiwi has been really resilient as of late, but you have to wonder how long this little guy can continue to hold its ground! 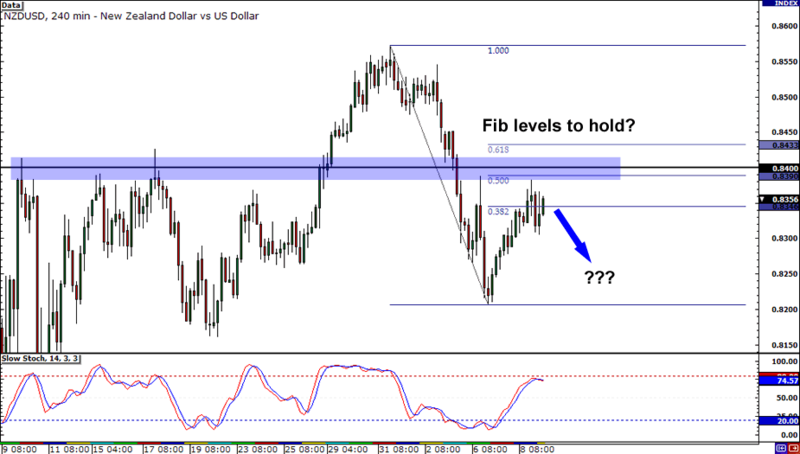 NZD/USD is already in Fib territory, so if you’re looking to put your money against the Kiwi, stay on your toes! The area of .8400 seems like a prime spot to short since it lines up well with the 50% Fib level and has acted as resistance in the past. Just remember to wait for confirmation from candlesticks, hommes! Lastly, let’s head on over to AUD/JPY. Aha! On the daily timeframe, it seems like buyers are having a hard time pushing past resistance at the 82.50 area which lines up nicely with the 61.8% Fibonacci retracement level. Stochastic also indicates overbought conditions which could mean that if there aren’t enough buyers around, we may just see the pair tumble all the way down to 80.00 or even lower. Duhn, duhn, duhn! But don’t worry Aussie bulls, it ain’t over ’til it’s over! 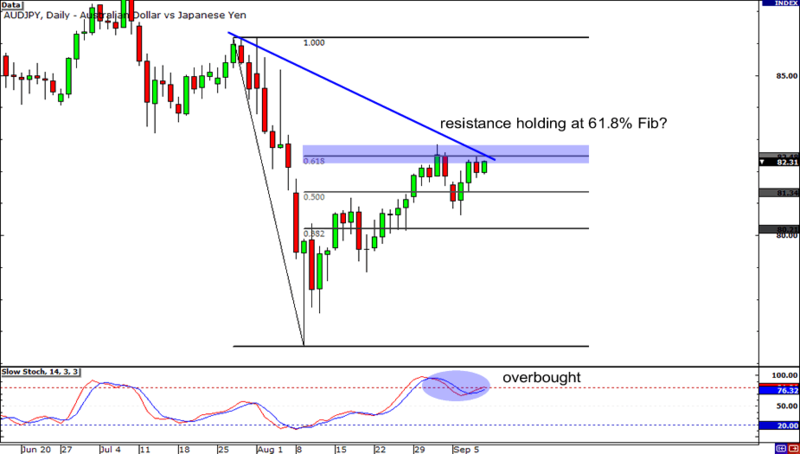 A strong bullish break above 82.50 may signal that AUD/JPY is on its way up to 85.00.